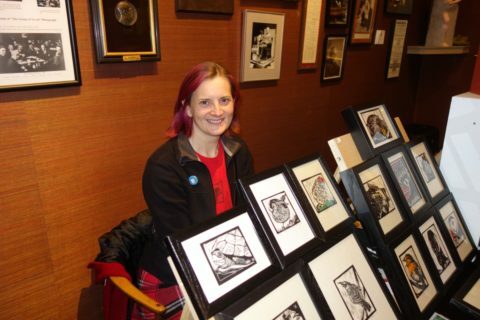 The beautiful great hall of the Arts and Letters Club in Toronto was once again the scene of a delightful bookish event for those with a keen appreciation of printmaking and the book arts. 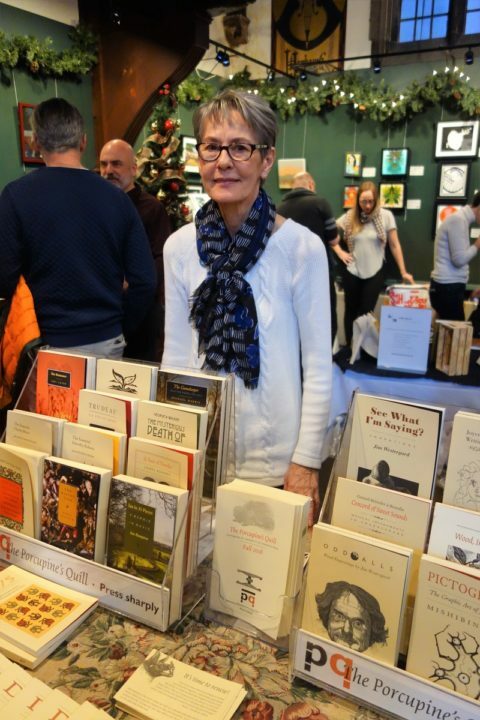 The second annual BOUND Book Arts Fair was held on December 9th featuring a wide variety of books, prints, broadsides, cards and more. DA Editor Don McLeod captured the magic with his trusty camera. Elke Inkster holds down the fort at the PQL/DA table. 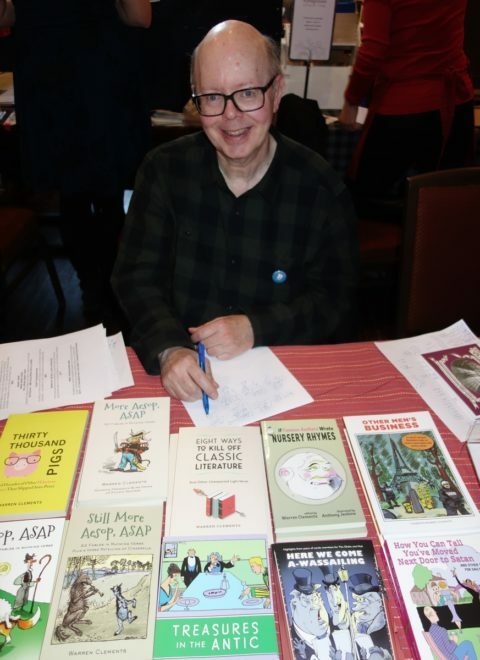 Warren Clements demonstrates some of his wares from Nestlings Press. 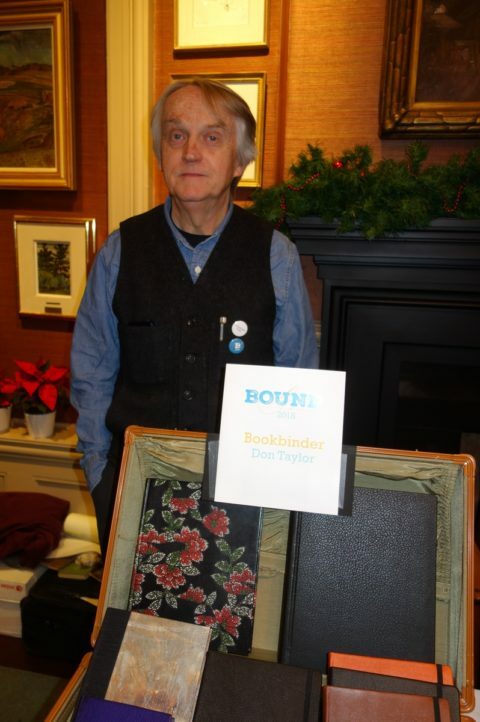 Bookbinder Don Taylor exhibited some of his handsome work at the fair. A genial smile from eXavier Peterson of eX Press. Event organizer (and Quill friend!) Michelle Walker, with Mark Huebner. 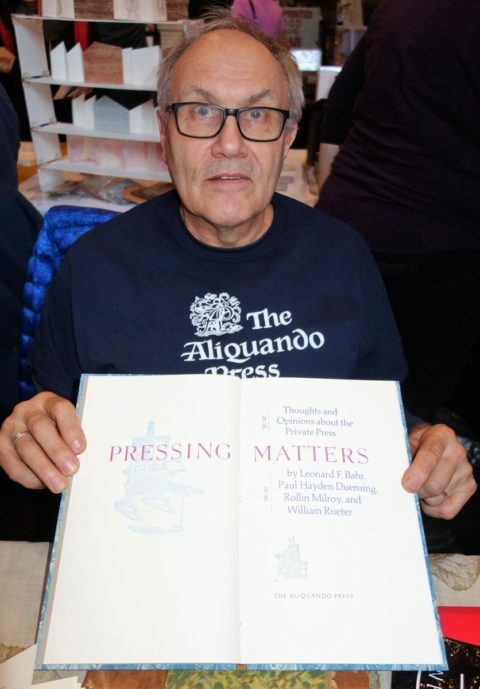 Will Rueter of the Aliquando Press showcases the beautifully designed (and well-named) Pressing Matters. 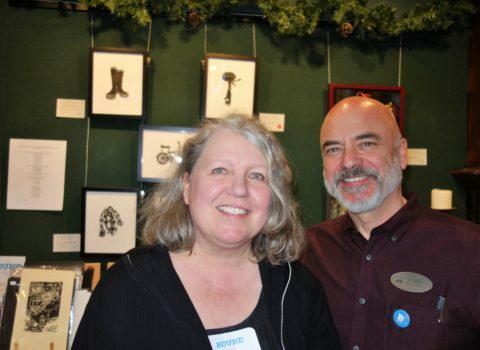 We’re so pleased that many of you were able to attend the BOUND Book Arts fair, and find time to come by and say hello. We hope you found lots of literary treasures! This entry was posted in Events, Photos, Posts and tagged book fair, Bound Book Arts Fair, event photos. Bookmark the permalink.